Our office is equipped with CEREC OmniCam, the latest generation in dental technology. This allows us to complete same day crowns, veneers, or even bridges! 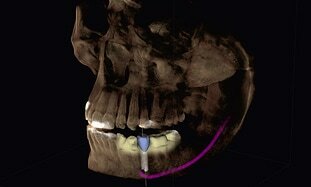 With CBCTs (Cone Beam Computed Tomography), it allows us to fully evaluate the present condition of your mouth, all on one screen! The powerful included tools help with uncovering the true diagnosis that many times is missed on traditional 2-D imaging.